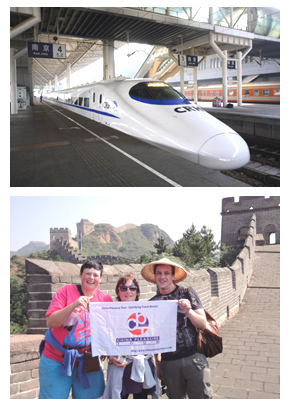 China Train Tour, Travel by train to Shanghai and Guilin, high quality China Tours ! - www.chinatraintickets.net! 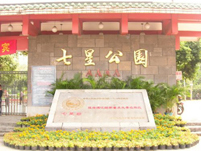 Our guide will meet you outside the baggage claim area at Shanhgai Airport and transfer you to the hotel. The rest of the day is on your own to explore the city. Visit the Jade Buddha Temple, it is the most famous and one of the most active Buddhist temples in Shanghai. Named for its two bejeweled white jade Buddha, one is 1000kg, 1.9 meter-high figure carved from Burmese jade brought to China in 1882, the Yuyuan Garden, It is well worth a meander through the Yu Garden, which has many scenic courtyards decorated with baroque rockery, pools and flora, all connected by corridors and passageways, the Bund, have a stroll along the waterfront to experience the smells, sights and sounds of the old "Wall Street" in Shanghai. 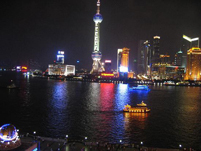 Banks, trading houses, residences, hotels and clubs all had a view of bustling Huangpu River traffic as they shared in the city s rising and falling fortunes. 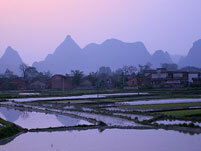 The dinner will be serve.Take the soft sleeper train to Guilin in the afternoon. 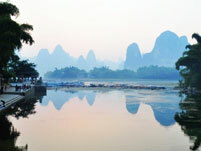 We intend to leave the day free at Yangshou. You can find West Street with the breathtaking scenery and have a pot of tea in a sidewalk cafe feeling totally relaxed. You can rent a bicycle to visit the Moon Hill and the Tall Banyan. Drive back to Guilin. Visit the Reed Flute Cave,the Cave is Guilin's largest and most impressive cave, the Seven Star Park, is the largest comprehensive park with mass scenery in Guilin City and the Elephant Trunk Hill, as symbol of Guilin, it has become one of the most popular natural monuments. It resembles an elephant drinking from the Li River. 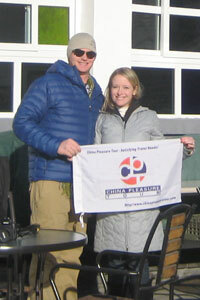 Then our guide and driver will see you off at the airport .Hope next time we still have the chance to serve you again.